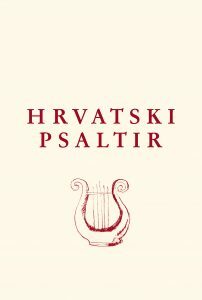 Another section of the “Croatian Psalter” is consisted of translations that have been published, but had not been reprinted in recent times (e.g. Luka Bračanin, Bartol Kašić, Ivan Matija Škarić) and because of that are not available to the general and academic public. These manuscripts would be adapted to modern spelling conventions, without interfering with the very language of the translation. A third section is consisted of translations in the Burgenland Croatian standard language. Although this is not a historical translation, reprinting such issues would contribute to the understanding of the width and the wealth of Croatian biblical translation tradition. Each of these issues will be accompanied by a glossary of less known words, biblical names, professional critical texts and scholarly apparatus in which the historical circumstances of the translations will be explained. Also, the features of translations in relation to the theology of biblical Psalms and Hebrew original, stylistic and linguistic features, and principles of transcribing will be explained.